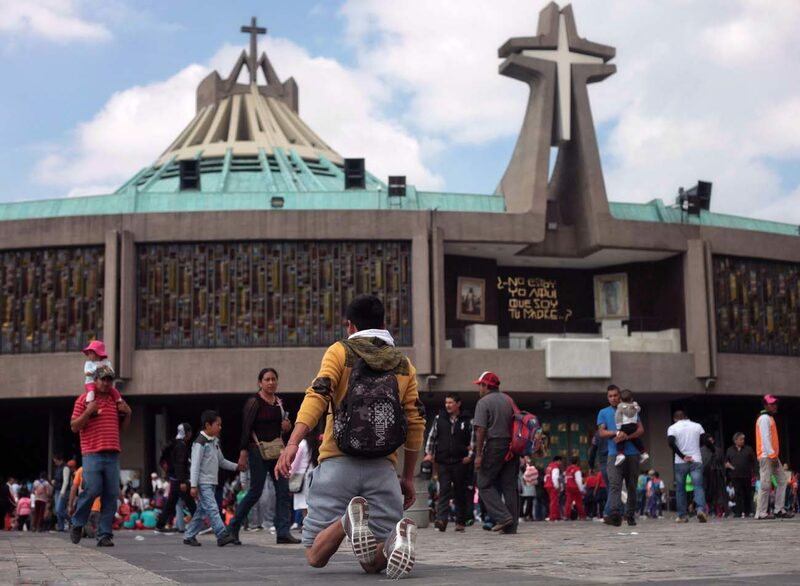 MEXICO CITY (CNS) — An anarchist group calling itself “Informal Feminist Commando of Anti-Authoritarian Action Coatlicue” has claimed credit for detonating an explosive device outside the Mexican bishops’ conference offices. Little is known about the group, though it is believed to have detonated a similar device March 17, Mexican media reported. Coatlicue is an Aztec goddess known as the mother of gods. No arrests have been made for the July 25 explosion, which occurred at offices across the street from the Basilica of Our Lady of Guadalupe, the country’s most visited religious site. The conference leadership said shortly after the explosion that it does not believe the incident was an attack on the church. “This act invites us to reflect emphatically, to reconstruct our social fabric to provide better security for all citizens,” Auxiliary Bishop Alfonso Miranda Guardiola of Monterrey, conference secretary-general, told the media. The issue of clerical sexual abuse made headlines recently in Mexico. Two former priests filed criminal accusations against Cardinal Norberto Rivera for reporting the cases of 15 priests to the Vatican, but not the judicial authorities. Cardinal Rivera rejected the accusations, saying he followed the law in Mexico as it was written at the time and alleging animus against him as he prepared to exit the archdiocese. The cardinal submitted his resignation June 6 upon turning 75, as required by canon law.